Having worked in the natural health industry for 23 years, I know that not all companies have your interests in mind. It is hard to avoid the constant barrage of advertisements and 'misinformation' particularly in the field of health. Instead of selling ad space and having no control over the content I have carefully chosen a few select companies to advertise on this site. I want to be totally up front that I earn a commission from most of the products and companies you will find here. This does not affect your price, but it does allow me to provide free, quality information to you. However, if you choose to purchase through other links...no hard feelings! The companies I recommend have been chosen based on trust, ethics, value, quality and product superiority. I consider them to be the best in their field. It is important that you...the readers...receive the best possible experience. I know there are a ton of diets floating around the Internet. Everyone has their own diet plan but, as a holistic nutritionist, I find a lot of them seriously flawed. Isobel De Los Rios is also a qualified holistic nutritionist and exercise specialist from New Jersey, USA. She is a sought after professional in the natural health field and the author of The Diet Solution program. This weight loss program has become one of the most popular programs on the Internet. Isobel advocates eating whole, natural, fresh foods that provide fast results. Most importantly she educates people on changing their eating habits and the reasons why you need to eat certain foods. Isobels program is about 'healthy eating' and will help people with high blood pressure, diabetes, cancer and people just wanting to lose weight and adopt a healthy eating regime. I am a firm believer in 'walking the talk' and Isobel does just that. In fact I have downloaded her program myself and even though I eat a healthy diet , I have learnt a few new things! 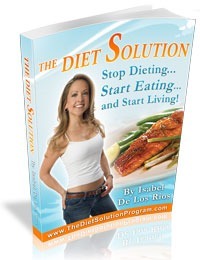 See my review on The Diet Solution Program Review. ProGrade is a nutritional company that believes in QUALITY. Their stringent standards are some of the best in the industry. They also invest a lot on time and money on clinical trials. This is rare in the supplement industry, but more and more people are wisely looking for science to back some of the wild health claims being made on the Internet. Having worked in the supplement industry, there are many 'charlatans' that copy supplement formulas and add ingredients that should not be in their product. The folks at ProGrade do have your health interests as their priority,their research on Krill oil is fantastic. Here is a link to all their articles and research: ProGrade Articles and Content, much of which can be found on this site. Jayson is their spokesperson and he certainly knows his stuff. Ken Evoy built this business building company in 1999. I am a raving fan because they helped me build this site from scratch. Ken has created a community of successful SBI'ers who help each other, it is like taking an E course in business building. 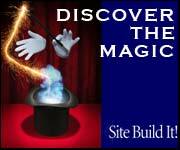 Check out How I Built This Website for more information or watch this SBI video tour. I also have an Amazon store with a few links. It is here that I can recommend my favorite health books and other favorite supplements such as the Kyolic garlic line and the Oil of Oregano from North American Herb and Spice company. These are products I use regularly and feel comfortable recommending to you. I also love Amazon because their prices are excellent and shipping is fast. My primary interest is bringing you the 'best of the best', quality companies that you can trust. I will be updating this page as I find those 'rare' companies that meet the grade. You will also find links to companies that I have no affiliate relationship with but I have had a good experience with their products. These links are scattered throughout the pages.